Upon viewing Farida Pacha’s quietly lyrical and earth-bound documentary My Name Is Salt (2013), the comparison to Jean-François Millet’s painting The Gleaners springs to mind. Both depict farmers or peasants, combing the land for its natural goods. Both extol the virtue and necessity of breaking one’s back in order to acquire even a minimal result of success. Finally, both portraits are painted in stark realism, enlightening the viewer to a way of life that is not commonly seen. 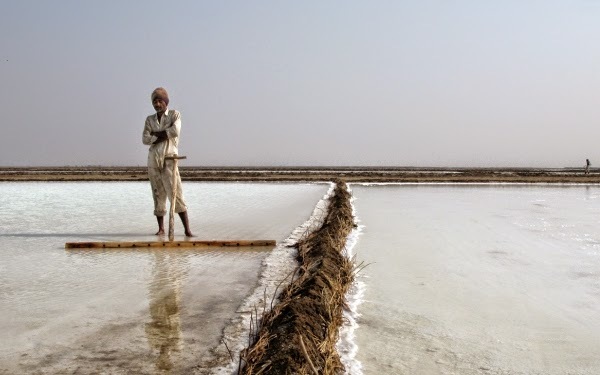 In the film’s case Pacha, along with cinematographer Lutz Konermann, vividly brings to life the existence of a farming family working the salt flats of Gujarat, India. With no narration overlaid onto the events being shown, Pacha allows her documentary to speak for itself. Her subjects pay no mind to the camera capturing their hard work. They spend months resurrecting rusted, well-worn machinery that’s laid preserved in the earth. They form water pits to cover that cracked earth that will soon bear salty fruit. They work tirelessly, ankle-deep in thick mud and under barren, scorching skies for days on end. What is initially presented in this depiction of a salt farming family life is that, yes, this work is incredibly difficult, but beauty seeps in at every opportunity. Glimpses of children playing with makeshift toys and going to school with other farming children (in a singular hut, no less) are interspersed with long sequences of parents nursing the land to fruition. This doesn’t lapse into bleakness though; there’s never an instant of despair or doubt. The camera guides us through quotidian labour in the most poetic way. There is a aural overload that adds to narrative sparingness: the squelch of mud, the constant flow of water, the tamping movements of feet, the occasional clip of speech that adds some barebones narrative for the viewer. A haptic world is built outwards from the aural to the visual. Konermann’s palette is not merely relegated to the whites and greys of the land. His camera captures every facet of sunlight, sun-darkened skin, worn-out but colourful workman’s clothes. There’s a whole life that is constructed through the facets that often lie outside of usage within the traditional documentary setting. It makes for an impressionistic documentary that moves outside of the structure of its genre in favour of a more visually reliant and stimulating narrative. While it does not romanticise the intense efforts its subjects, it manages to find beauty and peace there. It’s a gripping portrayal of a portion of the world and its people who are rarely given the chance to speak or be seen. 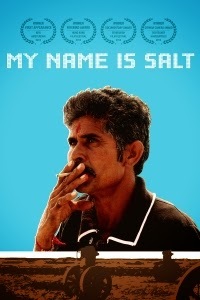 For that and more, My Name Is Salt leaves a pleasant aftertaste.